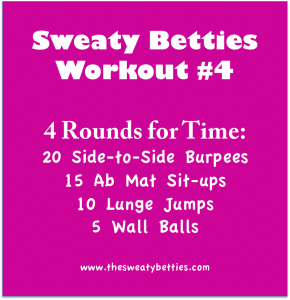 I had a few technical issues with the first video, so you will just get to see the sweaty aftermath:) This is a great short workout, can be used as cardio or you can add a 5th Round. 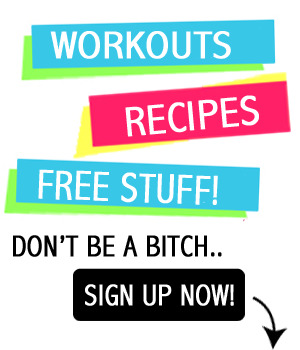 8:42 – not bad considering I did a plethora of jump squats yesterday! awesome! way to work it! 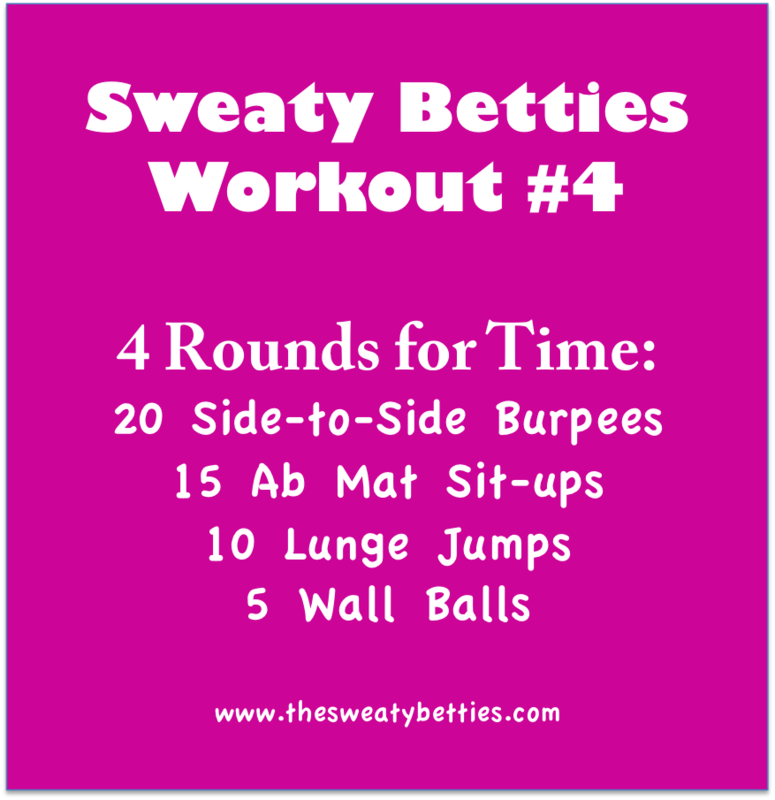 2nd time I’ve done a sweaty bettie workout, they’re great! I timed in at 8:10:43. Pretty good I’d say.